We have made a US$6m commitment to four distributions in Malawi over four years and on Idjwi Island, DRC. The same level of accountability, achieved through distribution verification and post-distribution follow-up, applies to these as to previous distributions. A provisional, large distribution in a province of the DRC will not proceed as the distribution agent was unable to agree to the process requested by AMF in the timeframe needed by our co-funding partner. Of the $14.8m in-hand, we have now confirmed spending of $8m leaving $6.8m for further distributions. This set of distributions extends AMF’s planning horizon, increases the number of districts within which AMF will take responsibility for mass distributions and allows us to continue monitoring net use and malaria data in the coming years. We have made a US$5.6m commitment to four distributions over four years in Malawi totalling 1.4 million nets to protect 2.5 million people. The addition of Dowa district brings to four the number of districts (of 28 in Malawi) where AMF is responsible for funding. 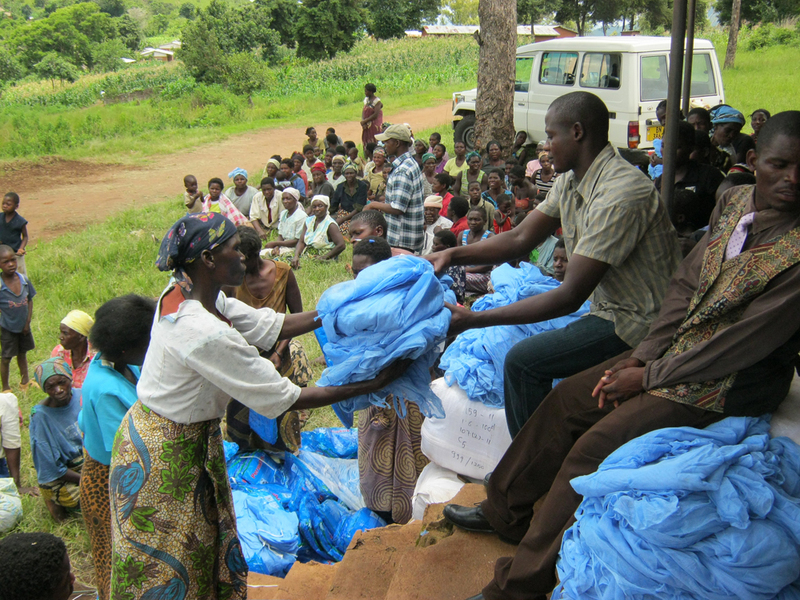 Our distribution partner Concern Universal has demonstrated the commitment and capability to carry out successful mass distributions achieving high rates of net coverage in our previous work in Malawi. We will continue to use the same distribution methodology. The timing of these distributions reflects the expected life of nets in these districts following the initial 2012 (Ntcheu), 2013 (Balaka) and 2014 (Dedza) work. Returning to these areas allows efficient monitoring of net use and collection of malaria data. Our processes are continually revised to ensure the most effective results. The precise number of nets will be calculated on completion of the household level pre-distribution surveys. AMF has approved a 120,000 net universal coverage distribution on Idjwi Island working with Amani Global Works (AGW). A 60,000 net distribution will take place during November 2014 in North Idjwi. We have been impressed with AGW's experience in North Idjwi and their commitment to accountability and transparency. Both parties will review the North Idjwi distribution once completed and intend to carry, out shortly thereafter, a similar universal coverage distribution in South Idjwi. We are not proceeding with provisional plans for a third and larger distribution in DRC. Within the timeframe needed by our co-funding partner, the distribution agent was unable to agree to the process requested by AMF. While we remain ready to adapt our practices to different environments, we are seeking to improve on standard net distributions. This is because we have found significantly higher levels of hang-up when these improvements have been implemented. We fully understand that not all distribution partners will share our priorities or wish to make changes to their normal routine. After extensive discussions we did not reach agreement on the detailed aspects of verification of the distribution or monitoring and evaluation within the timeframe necessary to secure a firm commitment from our co-funding partner. During the negotiation, significant budget cuts were also placed on our co-funding partner. This was intended to be our largest DRC distribution after the successful conclusion of negotiations for the distribution of 676,000 LLINs earlier this year with a different distribution partner, IMA World Health. These took one month and included swift agreement on distribution verification, monitoring and evaluation. AMF and IMA believe that the detailed follow-up checks which have become a feature of AMF work significantly improves net hang-up rates. We recognise this can and should be adapted to take into account the country and regional requirements, so detailed discussions will sometimes be necessary to find an agreed outcome. However, we are reviewing this experience to learn from it and in particular assess how to reduce the risk of important differences arise late in the process. A Letter of Partnership Principles was agreed by the three parties at the start of discussions, which included a clear commitment to the inclusion of monitoring and evaluation activities. This did not prevent differences being raised on these issues late in the process. We are also considering whether future distributions should focus on three to four distributions of one to two million nets each rather than a large distribution that would require all of AMF’s available funds. This would allow AMF more flexibility to exit discussions earlier if differences arise.